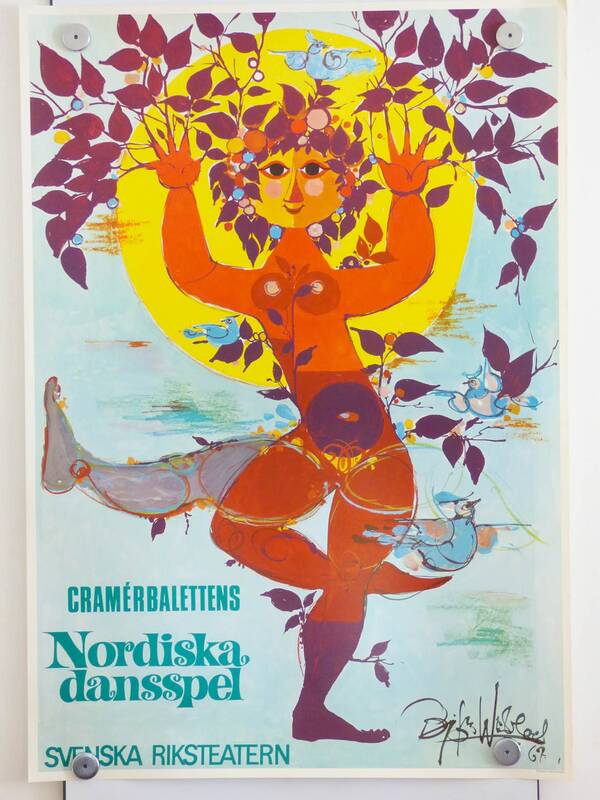 This poster was designed by the wonderful Bjorn Wiinblad for the Swedish Cramerbaletten, the poster is an original 1967 print produced on matt of white coloured paper. 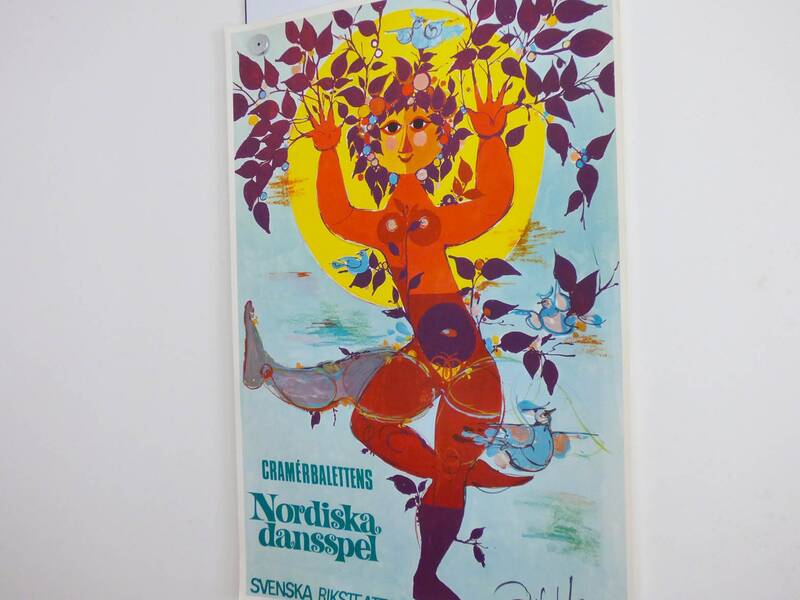 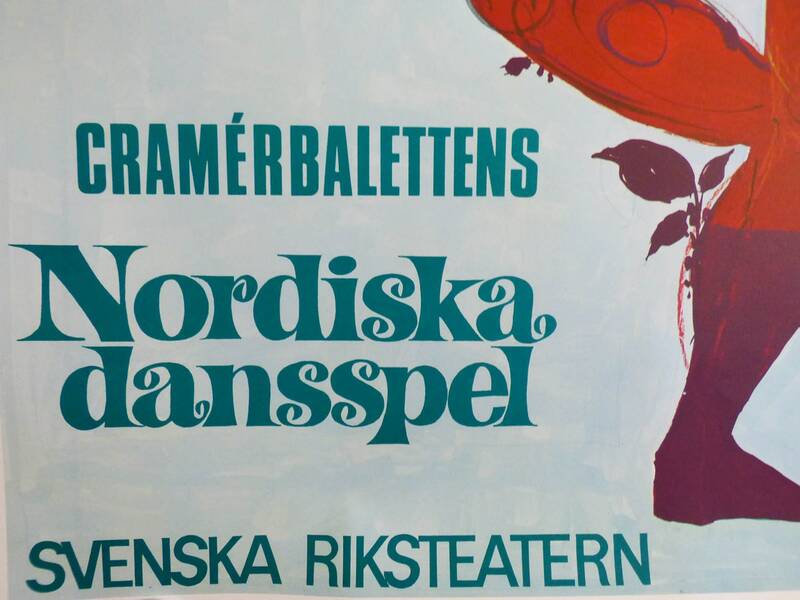 The poster for the Nordic Dansspel is one of several, which he designed for the Swedish Cramérbaletten in the 1960s and 70s. 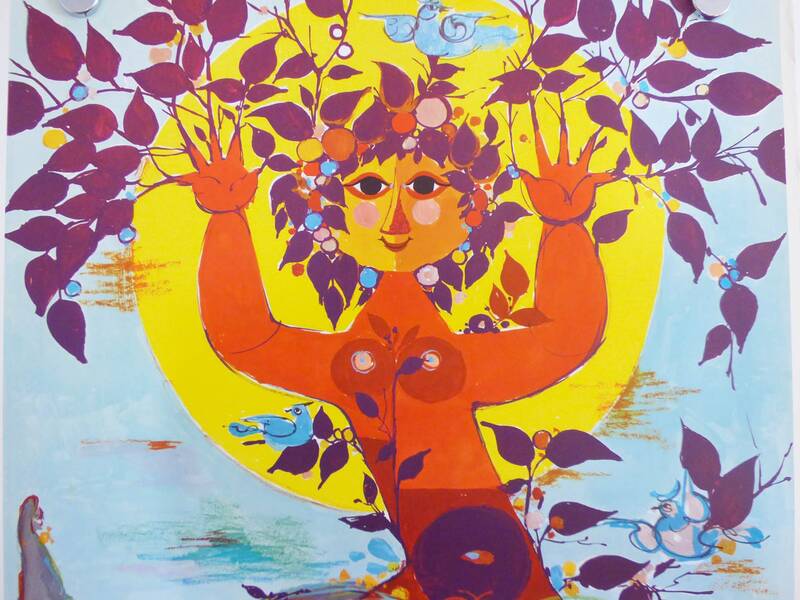 Here is a stylized dancing female figure with the Wiinblad characteristic almond-shaped eyes. 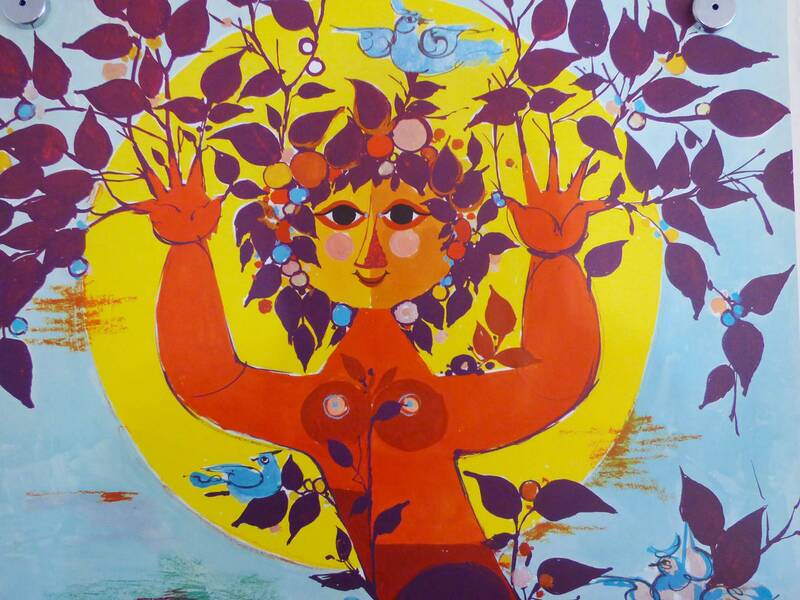 Her body is in motion, and in a brilliant way grows branches and leaves out of her hands while the birds feel safe in her vicinity. 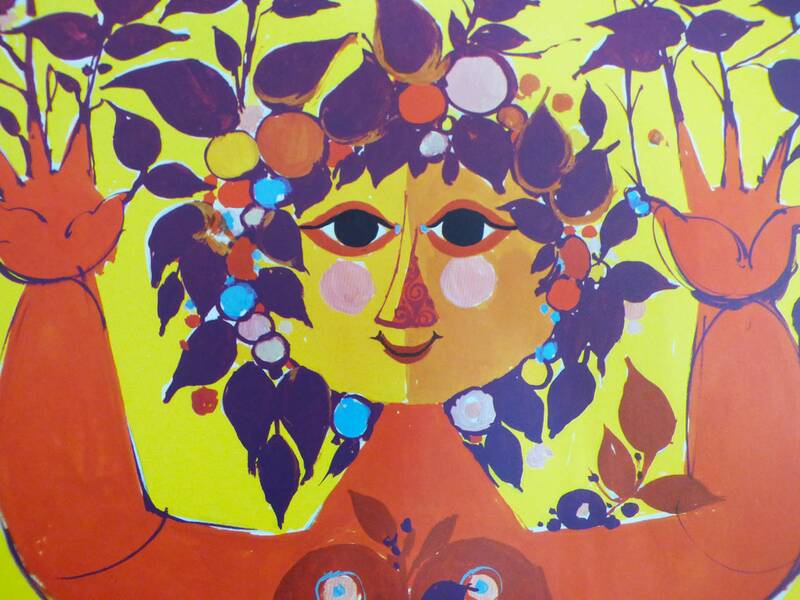 The bright yellow sun disc stands with its graphic purity as a counterweight to the wild dash in the female figure. 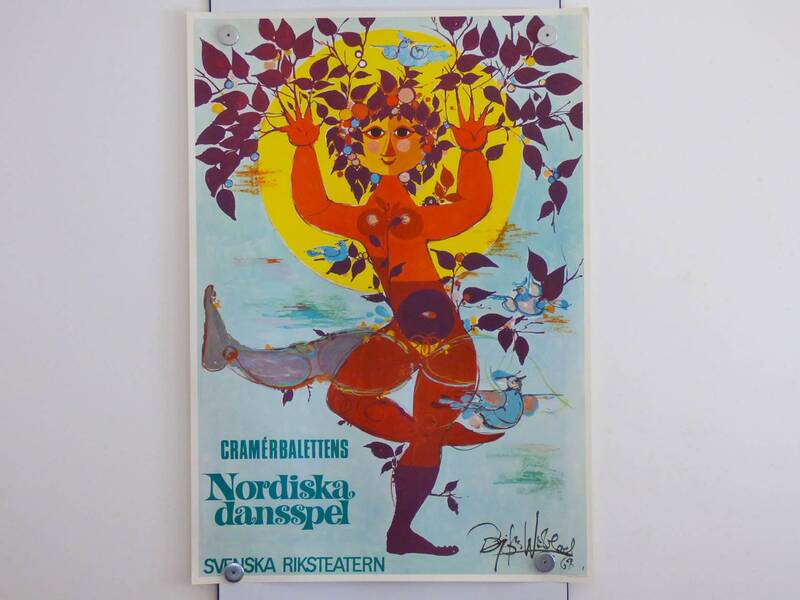 This wonderful poster is in Fantastic condition, there are just some slight sights of age to the edge of the poster, barely noticeable, but take a look at the photos. 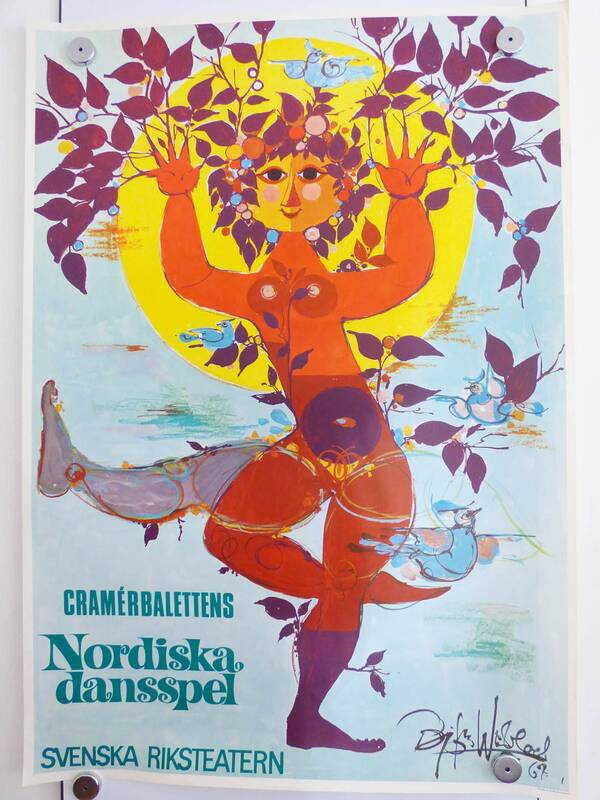 created in 1967 this is one my favourite Wiinblad posters. 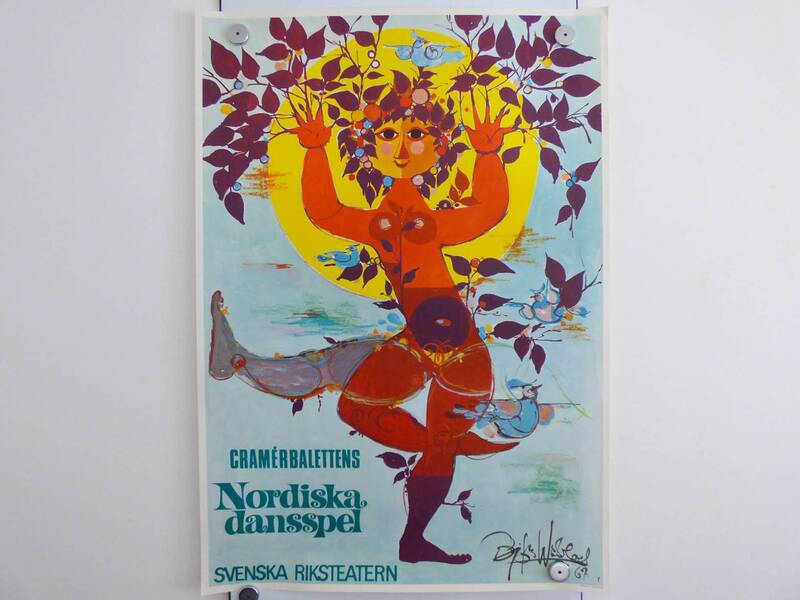 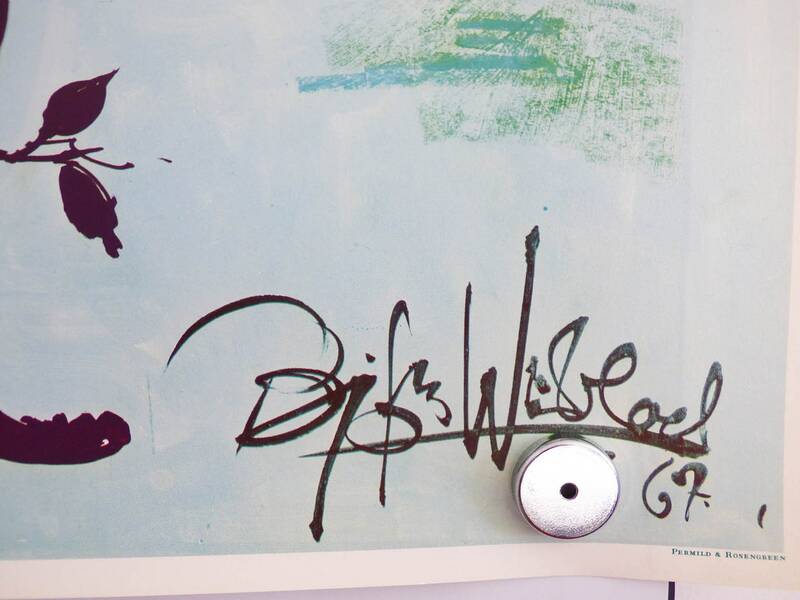 produced by Permild & Rosengren - and signed by Wiinblad in print.